Walking around New York City, I can’t tell you how many times I’ve seen drivers, motorcyclists, bicyclists and pedestrians engrossed in their phones with naught a care in the world as to what may lay in their path. If they’re lucky, they make it through the day unscathed. 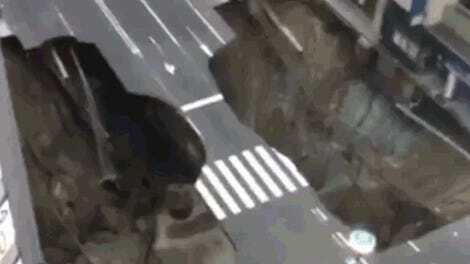 If they’re like this scooter rider in China, then they could find themselves falling into a sinkhole. The Chinese broadcaster CGTN caught the moment on surveillance footage last week and posted it Sunday on YouTube, where the British newspaper The Guardian also took notice. 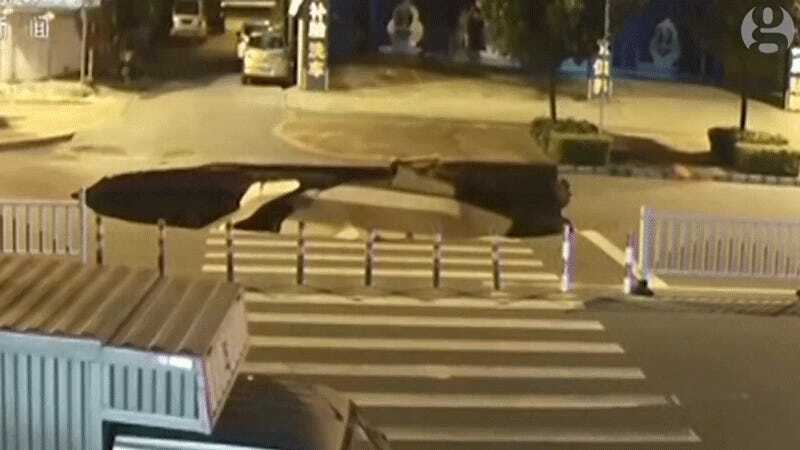 CGTN says authorities haven’t figured out yet what caused the road’s collapse. Thankfully, the driver wasn’t hurt. But I think it’s safe to say that he walked away from this incident having learned a new lesson. You Ever Read That Book 'Holes'?